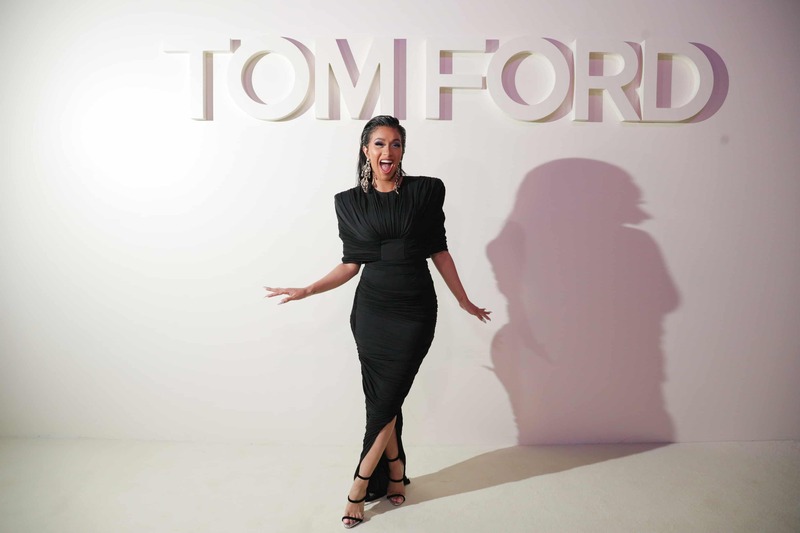 NYFW got off to an early start last night, when Tom Ford hosted his Spring/Summer 2019 fashion show at the Park Avenue Armory. “I always begin each collection as a reaction to the previous season,” said Ford. “I feel that fashion has somehow lost it’s way a bit and it is easy for all of us to be swept up in trends that have lost touch with what women and men want to actually wear. So I did not want to make clothes that were ironic, or clever but simply clothes that were beautiful.” Well, mission accomplished! As with all of Tom Ford shows, the front row at the designer’s latest presentation was bursting with star power. 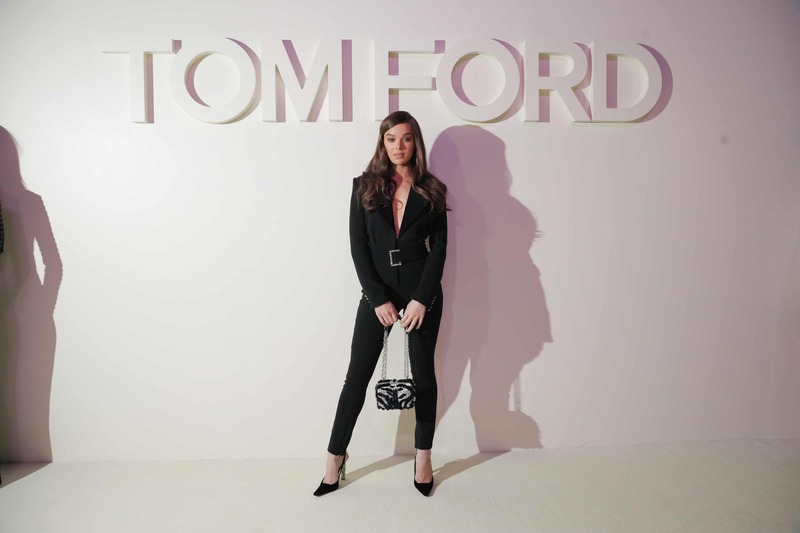 Guests included Cardi B, Adriana Lima, Hailee Streinfeld, Tom Hanks and Rita Wilson, Henry Golding, and Suki Waterhouse. In July, Burberry came under fire when it emerged that the British brand had destroyed almost $37 million worth of unsold products. In the wake of the social media backlash, CEO Marco Gobbetti announced that Burberry will discontinue the practice moving forward. The brand is also banning the use of animal fur — rabbit, fox, mink, Asiatic raccoon, and angora — on the runway starting with Riccardo Tisci’s first collection for the brand, which will debut on September 17 as part of London Fashion Week. “Modern luxury means being socially and environmentally responsible. This belief is core to us at Burberry and key to our long-term success,” said Gobbetti in a statement. The brand will, however, continue to sell products made with shearling. 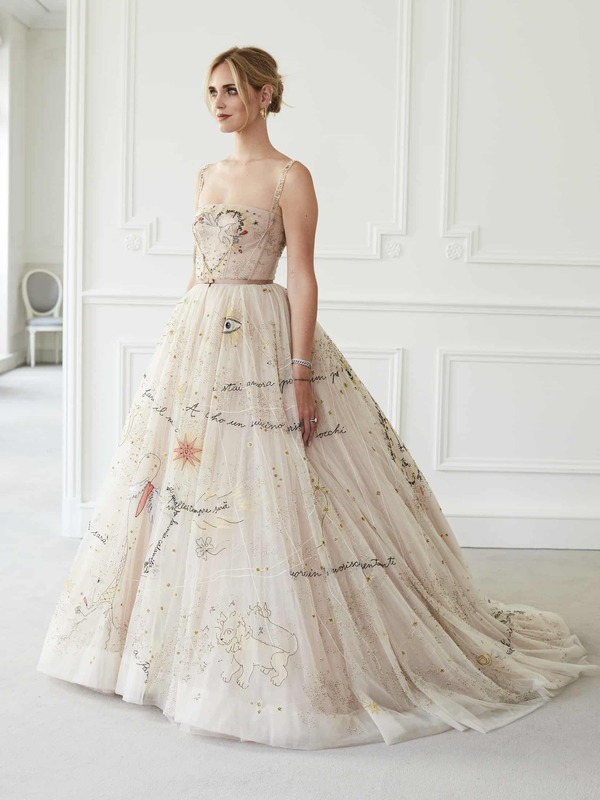 Data analysts at Launchmetrics compared the Ferragni’s Media Impact Value (MIV) — the estimated price tag on reaching a new audience and consumers via digital media coverage — on her dress designer (Dior) to that of Meghan Markle’s wedding dress designer (Givenchy). Turns out Ferragni’s Media Impact Value was nearly double that of Markle’s. According to Launchmetrics, Ferragini gave Dior the equivalent of $5.2 million worth of influence influence by wearing the brand at her wedding, with $1.6 million of that coming from her own social media posts. Well that didn’t take long. 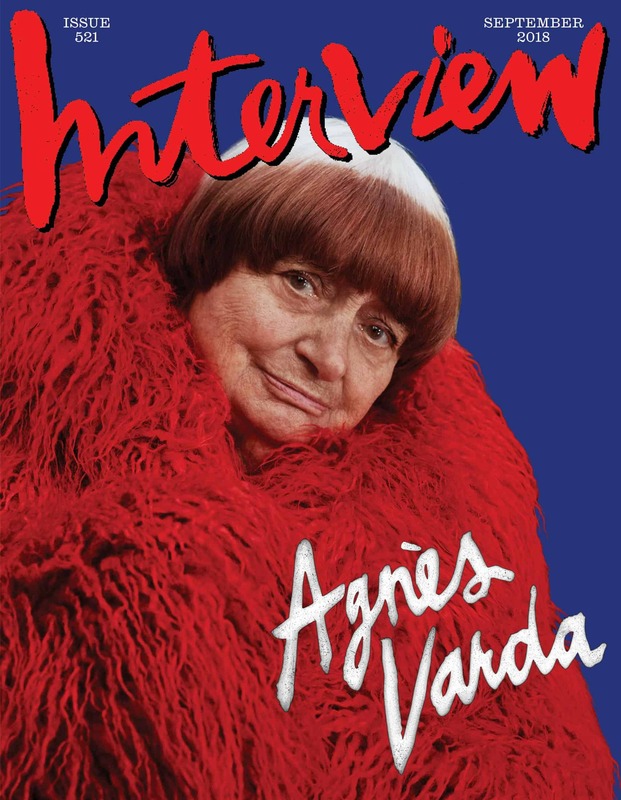 After so much hemming and hawing about the demise of Interview magazine earlier this year, the publication is back with a new staff (many members of their old staff remain unpaid), a new owner (sort of, but not really), and a new September issue featuring 90-year-old Oscar-winning filmmaker Agnès Varda, interviewed by the art curator Hans Ulrich Obrist and photographed by Collier Schorr. The issue hits newsstands today. 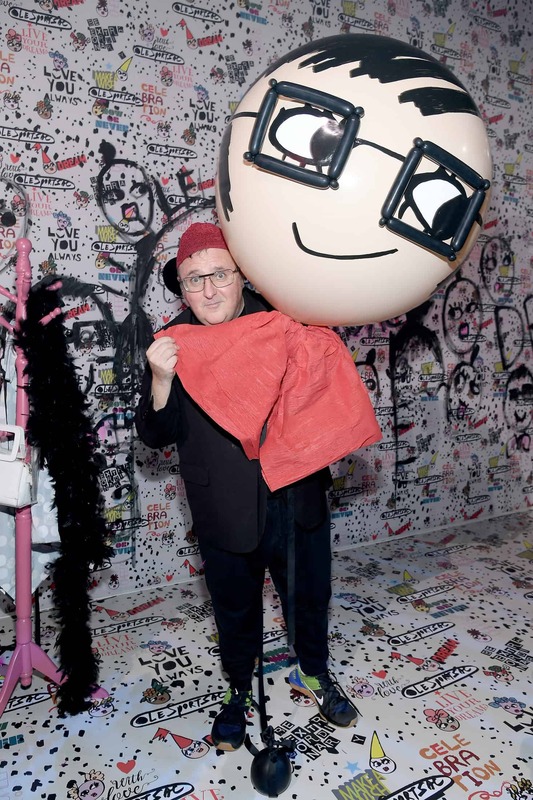 LeSportsac threw a major rager last night to celebrate their collaboration with fashion darling and former Lanvin and YSL designer, Alber Elbaz. 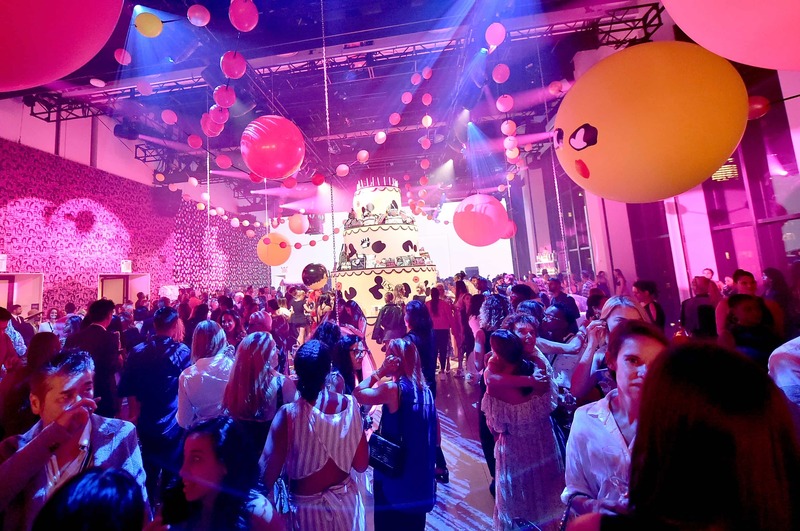 Spring Studios’ gallery 1 was covered floor-to-ceiling in Elbaz-designed prints and sketches — from the walls to the balloons to the popcorn boxes — as if the whole party were taking place inside the mind of the man himself. 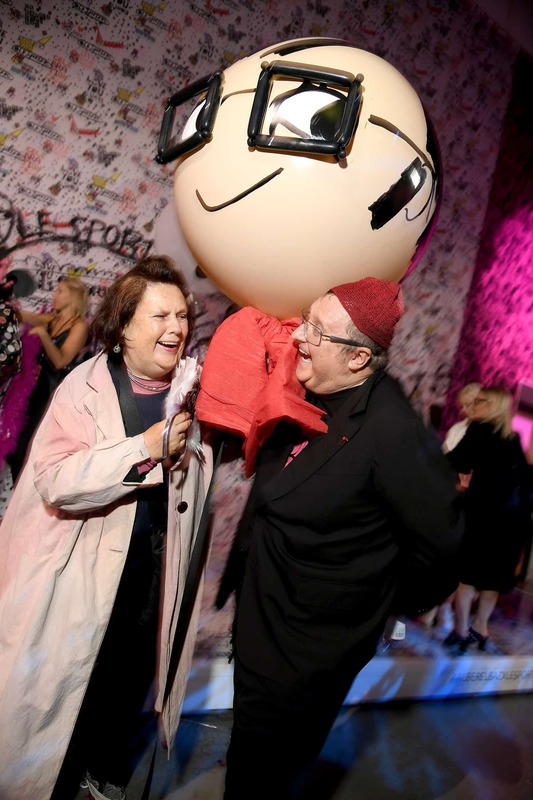 Les Filles provided the entertainment, performing in custom outfits inspired by the collection and Elbaz himself was on hand to pose with partygoers and fashion heavy hitters like Suzy Menkes and Bazaar’s Glenda Bailey, among others. 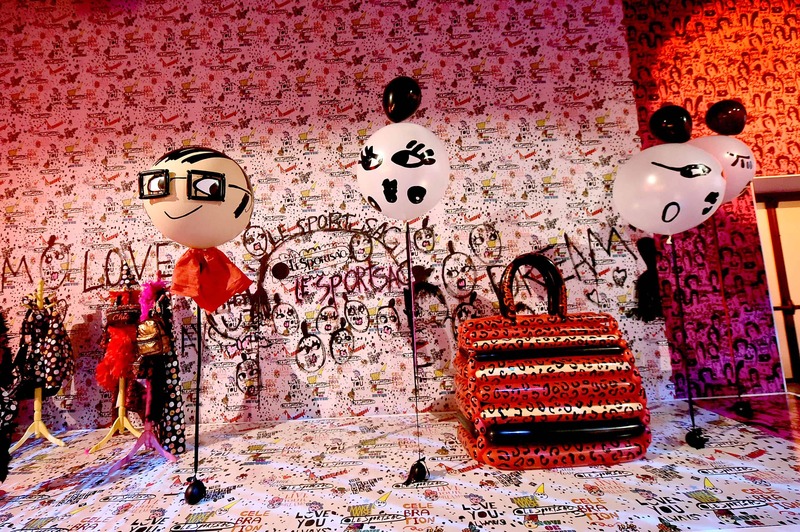 The Alber Elbaz collection launched at LeSportsac stores worldwide earlier this week and was on display at the venue. 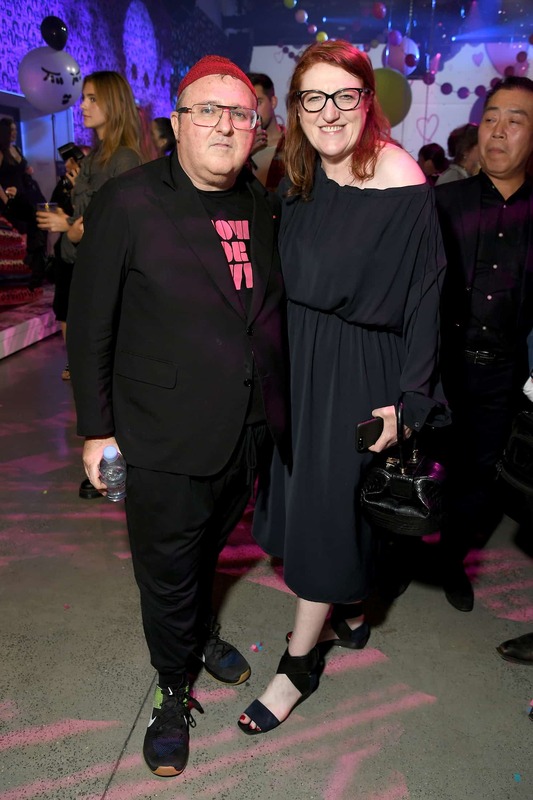 The fall 2018 collection is the first of several upcoming collections with LeSportsac (prints and colorways from the current and upcoming collections were on display at the party) and includes weekenders, cosmetic cases, cross bodies, totes, and backpacks incorporating exclusive playful messages and powerful graphics designed by Elbaz and lined with an exclusive Elbaz logo.